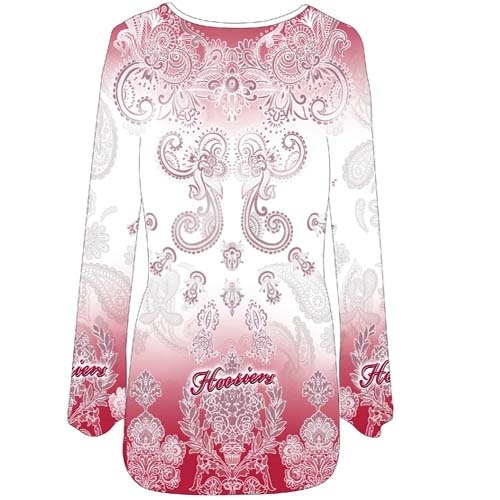 This nice new tee from P. Michael which is a dip dye technique which gives the all over floral/paisley design. 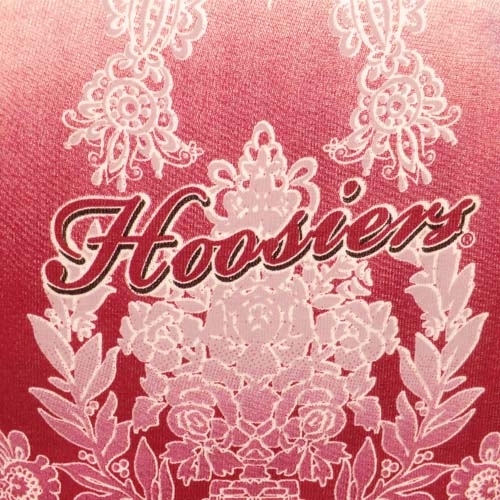 There are jewel bedazzling on the INDIANA IU logo. 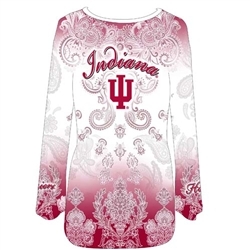 This shirt with its all-over design makes a great statement of support for your beloved Hoosiers! There are multiple areas of logo designs which are pictured. 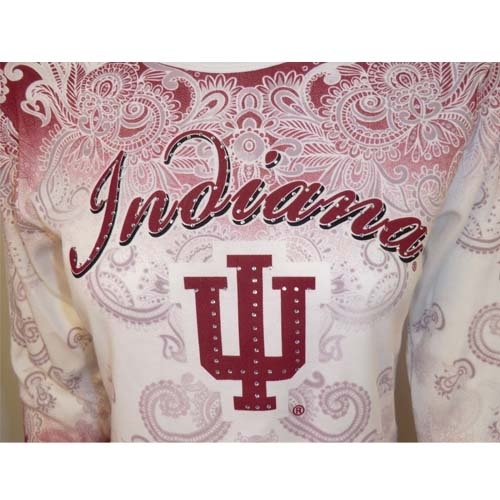 Made of a soft 100% Cotton and is perfectly sized for women. 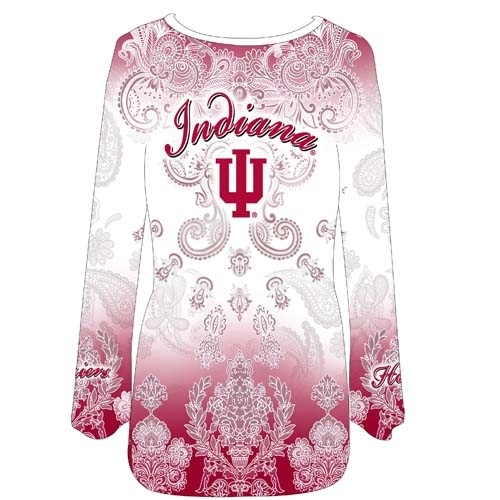 Also see this shirt available in Plus sizes. 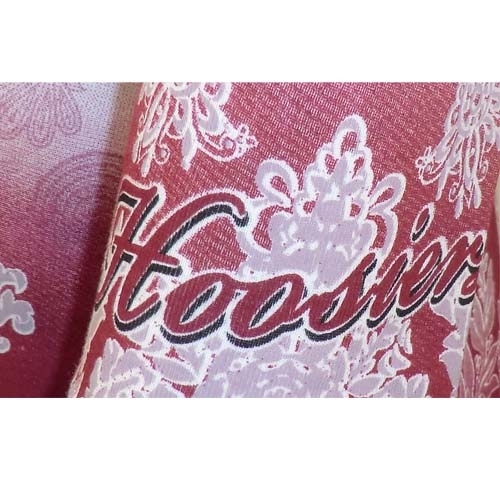 This shirt is made in the U.S.A.!